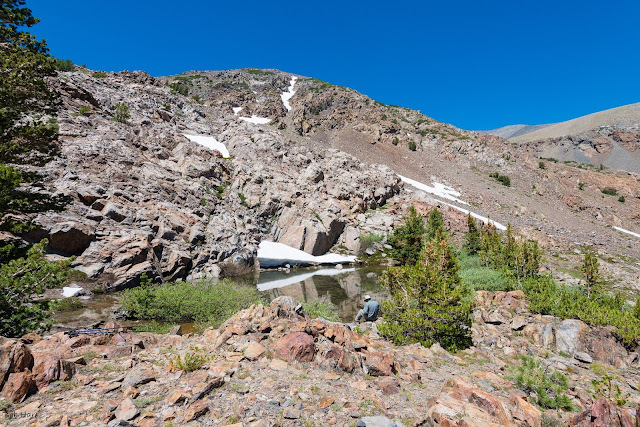 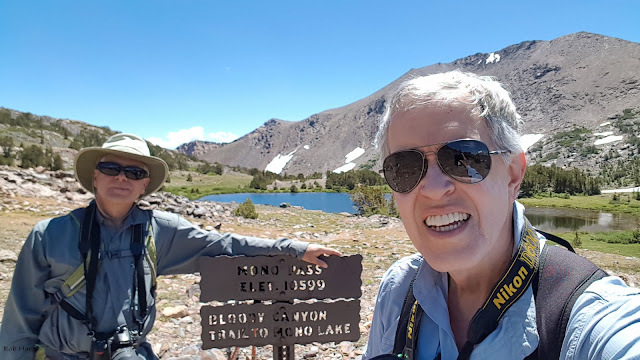 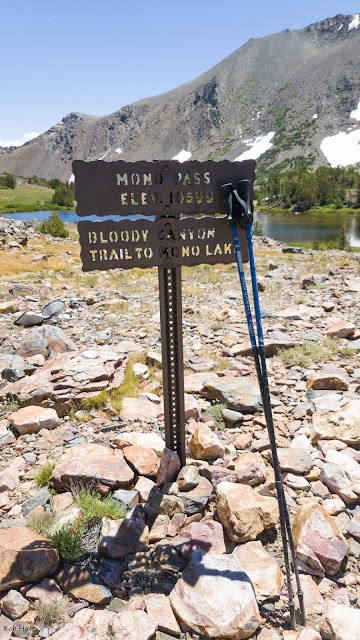 In late July 2017, David Witt and I completed a round-trip day hike from Yosemite's Mono Pass Trailhead to Summit Lake at Mono Pass and down to just above Lower Sardine Lake in Bloody Canyon. 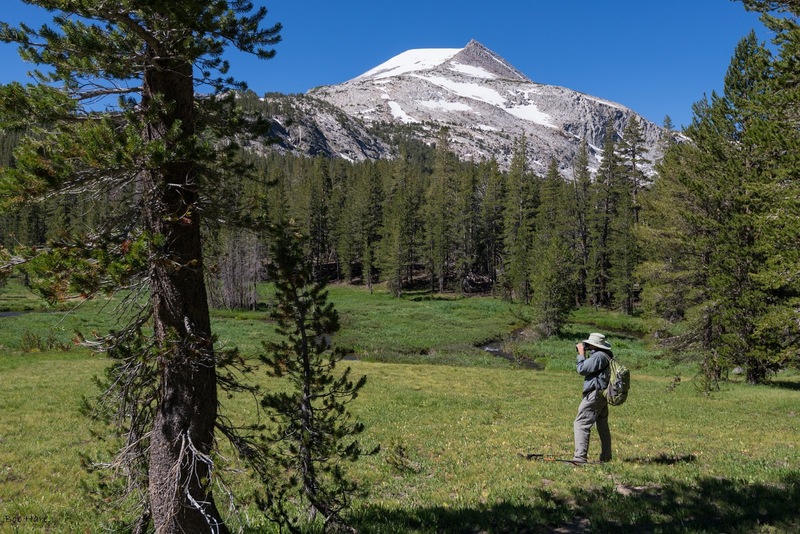 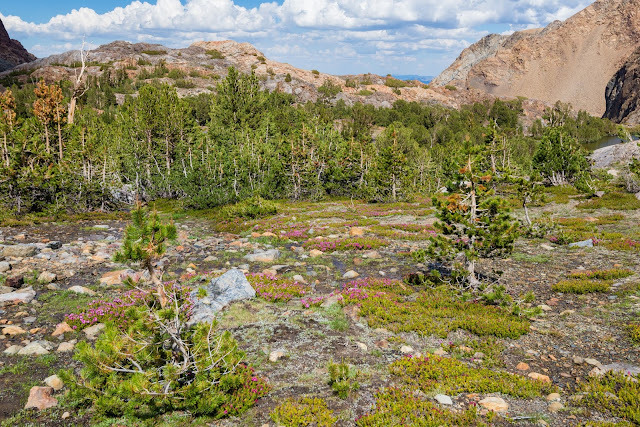 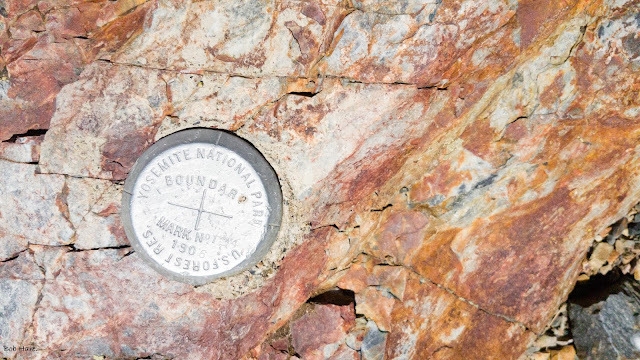 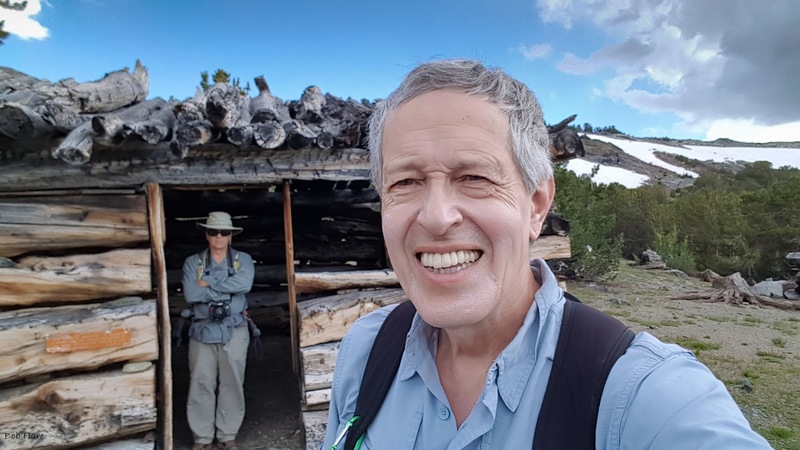 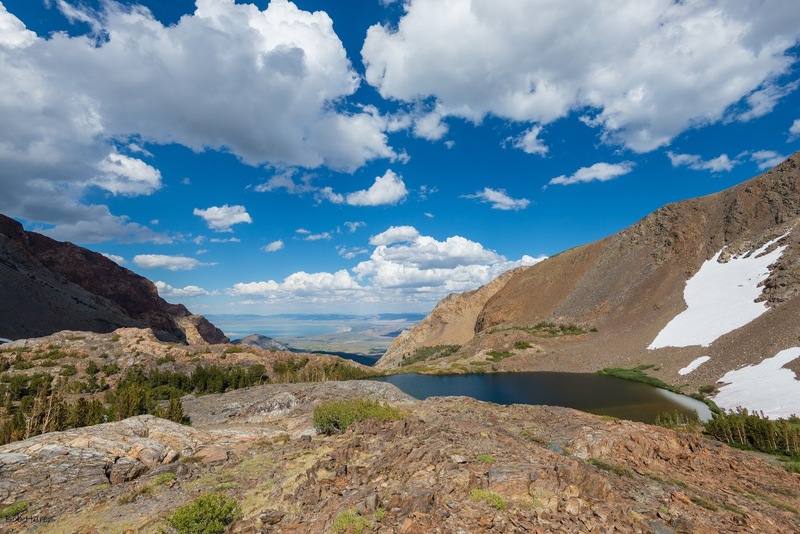 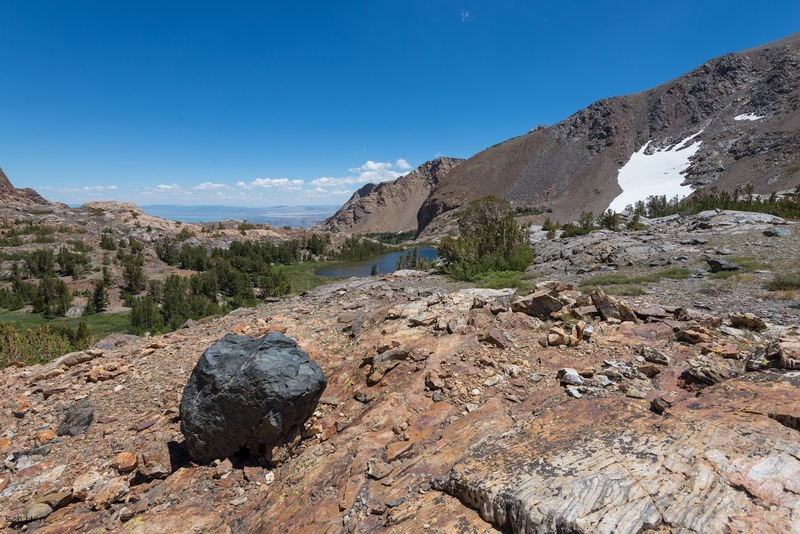 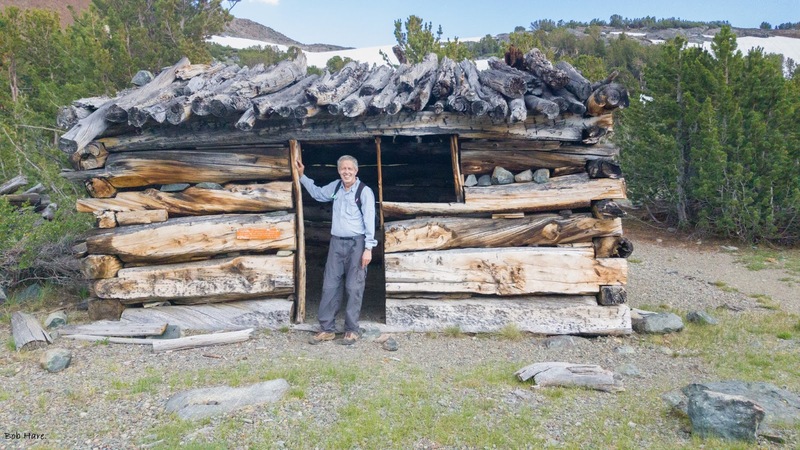 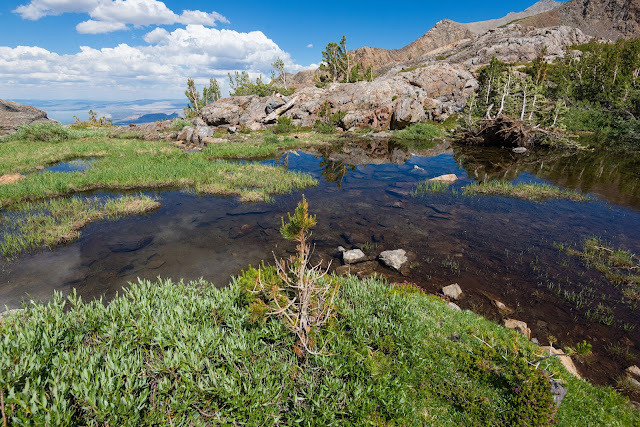 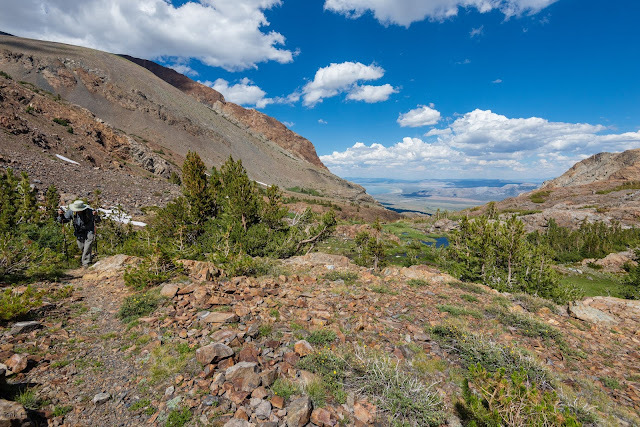 I have wanted to make this hike since my 1968 read of John Muir's "My First Summer in the Sierra" which relates his 1869 hike down Bloody Canyon to Mono Lake and the Mono Craters in the sagebrush flats east of Yosemite. On this hike I had a copy of Muir's 1869 sketch of "Red Lake" made from the northeast shore of Lower Sardine Lake looking towards the southwest. 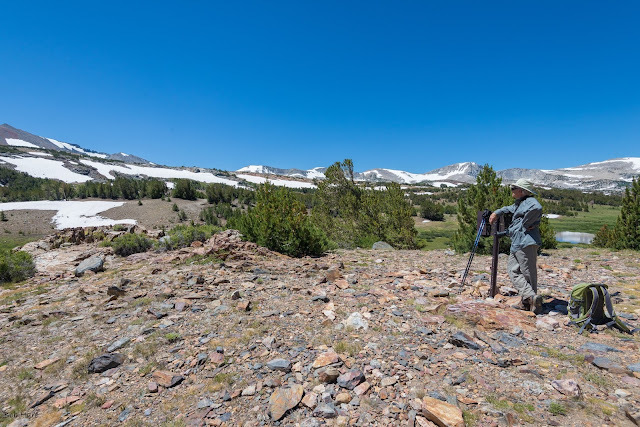 I've been tracking Muir's sketch sites for six years and this is one of the last I needed to find in Yosemite. 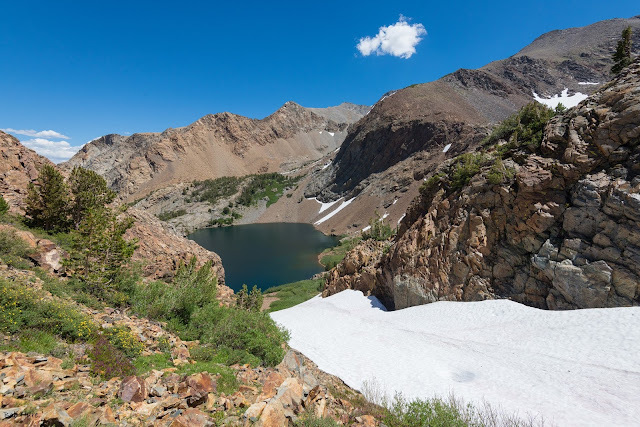 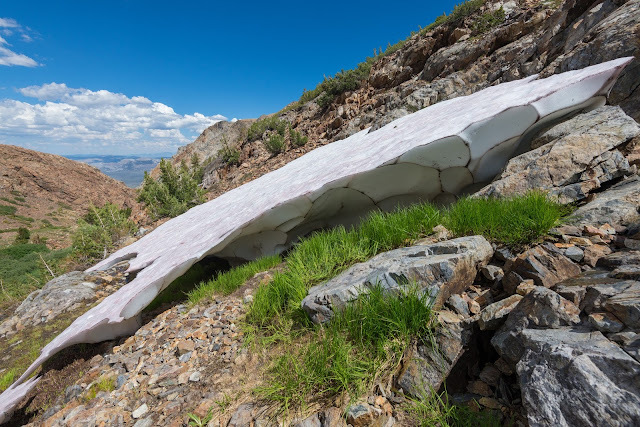 But the record snowfall in the Sierras left a fifty-foot deep snowfield in a couloir leading down to the lake with a precipitous face at the lake so we "didn't do anything stupid" and I got my approximate rephotograph of Muir's sketch and we headed back to the pass. 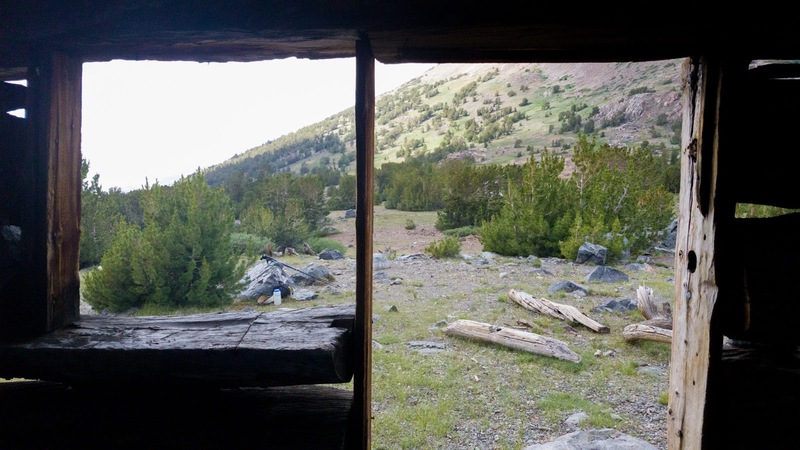 We arrived at the five century-old miners' cabins above the pass just as a forty-minute hailstorm hit. We enjoyed the xylophone-like timbre of the hail hitting the whitebark pine logs that formed the roof of our rustic shelter. With the world renewed by this blessing from heaven we sauntered down from the pass through meadow and forest back to the trailhead. Enjoy these images of our adventure! 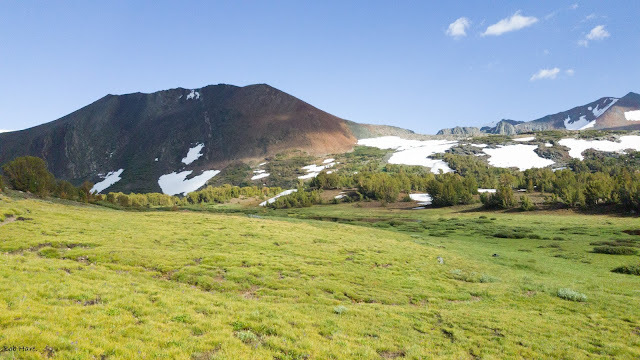 If you click an image you get a larger photograph and can scroll through them.